We are committed to delivering the best in rehabilitation services. Explore our therapy company in the following pages, and discover all of the benefits of working with Skilled Therapies. We are a therapist owned rehabilitation company focused on patient care. Our therapist(s) are trained with the patient and family needs in mind. Enhance your healthcare center with Skilled Therapies dedication in teamwork and professional care. 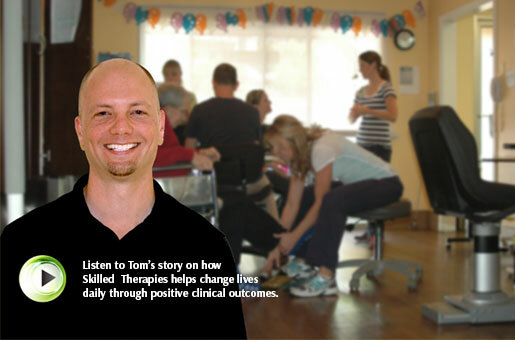 Our goal is to promote the industry of Therapy Services through positive clinical outcomes. Providing superior therapist owned rehabilitation services in a Skilled Nursing Facility setting. Improve Your Quality of Life. Please speak with your Physician about how Skilled Therapies Inc.'s Specialized Programs can help your loved ones regain their independence. Our Rehabilitation Director is also available to further discuss which program is right for you.